Each type of cancer has its own unique symptoms, treatments, and outcomes. However, one common symptom—fatigue—seems to be prevalent across the cancer spectrum. Cancer and fatigue go hand-in-hand. Cancerous cells work to break down healthy cells and convert them into more cancerous cells. Consequently, your body constantly fights to not only combat the attack, but also to replace the cells that have been damaged. As a result, your body works overtime, causing severe bouts of bodily fatigue. That’s why it isn’t surprising that the American Cancer Society has declared the month of December National Cancer-Related Fatigue Awareness Month. Cancer-related fatigue is a term used to describe the persistent feeling of physical, emotional, and mental tiredness that affects more than seventy percent of cancer patients. This feeling often keeps patients from being able to complete daily activities, and when left untreated, can greatly affect a patient’s quality of life. Exhausting effects that cancer treatments such as chemotherapy, radiation therapy, and some biologic therapies have on the body. Slowed reaction times and decreased focus caused by anemia (a lower than normal number of red blood cells) and hypoxia (decreased oxygen to the brain). When blood circulation is affected by the rush of white blood cells to cancer-stricken areas of the body, the normal levels of oxygen in the blood can become disrupted, decreasing the amount needed for organ function, particularly in the brain. Increased hormonal levels can cause erratically high and low energy levels. Infections can cause fatigue as already depleted white blood cells try to fight off additional invaders. Overwhelming effects of stress, anxiety, and pain can also cause a person to fall into a depression which can increase fatigue. If you or someone you love is battling cancer, you should take the time this month to explore the physical and emotional effects of cancer, and how it can affect focus and cause fatigue. Two good resources to look into include the American Cancer Society and the University of Michigan’s Comprehensive Cancer Center. However, for now, learning the basic concept of how cancer fatigue can affect your ability to function and work can go a long way in helping you better understand your options for disability. Have you noticed that since your cancer diagnosis you’ve been falling behind at work? Do you find yourself taking extra breaks or consistently losing your train of thought? If so, you may want to explore your options for receiving disability. 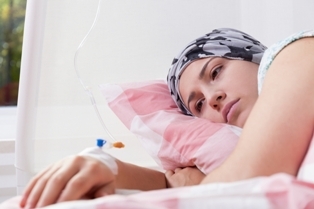 Battling cancer is a full-time job and suffering cancer-related fatigue is normal. However, it isn’t practical, nor healthy, to attempt to continue working 40-hour work weeks in addition to your already full treatment schedule. However, your bills and medical expenses aren’t going to pay themselves. So, what options do you have? One solution may be to apply for disability. Cancer is a debilitating condition, well-known to be degenerative. As a result, the Social Security Administration recognizes most forms of cancer to be severe enough to warrant disability consideration. Contact our office today at 508-283-5500 to schedule a FREE consultation to discuss your claim options. We’ll help you better understand your rights and work with you to build a compelling case. With our guidance and support, you’ll be able to persuade the SSA board that the consequences of your condition, namely the fatigue, warrant claim approval consideration.